Home Productive People: Should the UK Strive to Become a Nation of Productive Workers? 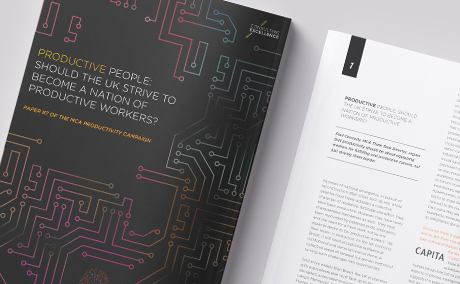 Productive People: Should the UK Strive to Become a Nation of Productive Workers? At times of national emergency, in pursuit of reconstruction after crises such as war, whole peoples have freely adopted a collective character of resilience, fortitude and effort. They have been productive. However, they have rarely characterised themselves as such. They have been motivated by battered pride, emergency and the need for a fresh start, not by any especial desire to be ‘productive workers’. Yet their lesson is instructive. As the UK confronts Brexit, it will need exceptional resilience at institutional and personal level to thrive. A collective sense of renewal is a proven method of turning such challenges into opportunities. Next Post Productivity: Do We Need a New Productivity of Outcomes?